Easily replace your old basement windows with new energy efficient vinyl windows from Farley. There are plenty of reasons to choose vinyl windows and patio doors from JELD-WEN such as the cold climate and high wind design of a JELD-WEN 5000 SERIES window. Prestofen shed windows feature an exclusive PVC (poly-chloride vinyl) frame that houses a single 3 mm glass pane. Solensis hung windows were designed to optimize energy efficiency and were developed in accordance with the new, increasingly stringent industry standards. 28 1/4-inch x 13 1/2-inch Sliding Basement Window Easily replace your old basement windows with new energy efficient vinyl windows from Farley. 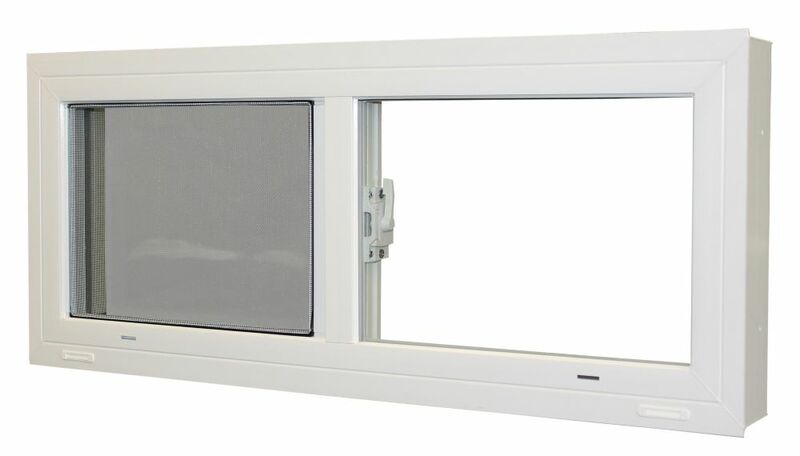 28 1/4-inch x 13 1/2-inch Sliding Basement Window is rated 5.0 out of 5 by 1. Rated 5 out of 5 by Wayner from Excellent basement replacement window! I bought two of these to replace original 20 year old aluminum sliders installed in steel bucks (steel frames) recessed into the poured concrete foundation wall of our basement. I tore out the aluminum sliders with plastic tracks (drilled out the rivets in the tracks) and the installation of these two new windows went really smooth, the fit inside the steel buck was perfect, I appreciated the two side trim pieces included with each window to act as a jamb stops for the new units. The jamb trim clicked into the inside of the steel buck perfectly! Overall a great quality product and the look of them is really cool! No more drafty, energy wasting, leaky basement windows! My sister in law wants me to install some of these in her house too! 2 extra plastic pieces came with this window. Can someone tell me what they are? Can this window be installed vertically for a small bathroom window?